Vector frames. 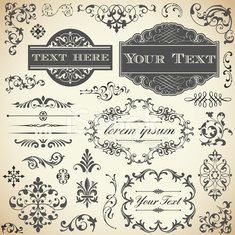 Set ornamental vintage decoration. Set of mandalas for coloring book. Decorative round ornaments.